While playing outside, your children may see a discarded old refrigerator on someone else’s property that they want to play hide and seek with, or they may even be tempted to go for a quick dip in your neighbor’s pool while they know he is at work. If your children are injured due to these instrumentalities, the property owner may be liable under the attractive nuisance doctrine for your children’s injuries. 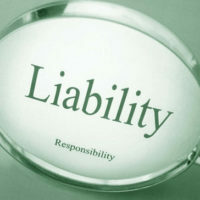 Similarly, if someone else’s child is injured on your property, you may be held liable. When faced with an attractive nuisance claim, the first question before the court is whether the child was attracted onto the property by an instrumentality that is dangerous to them but, due to their youth, they are not able to assess that danger. Similar airtight units from which the doors have not yet been removed. In addition, residential swimming pools, fountains, and hot tubs may also be considered attractive nuisances, along with trampolines, abandoned vehicles, or abandoned lawn mowers or power tools left open and visible in a person’s yard. When Does the Attractive Nuisance Doctrine Apply? Whether the property owner failed to take reasonable steps to remove the danger or protect the child (e.g. putting up a fence, calling professional appliance removal companies to remove appliances from their property, or posting warning signs around the instrumentality. In deciding a case under the attractive nuisance doctrine, the Court will consider several factors related to the child-victim. First, the court will consider the injured child’s ability to understand the danger of the attractive nuisance by assessing that child’s age, intelligence, capacity, knowledge, and experience. Second, the court will evaluate whether the alleged attractive nuisance was the reason the child was attracted to the property in the first place. Third, the Court will determine whether the attractive nuisance was the cause of the child’s injuries. Finally, the Court will look at whether the property owner complied with all applicable building and safety codes aimed at the protection of third-parties. The attractive nuisance doctrine is complicated and has many nuances that are difficult to navigate. If your child has been injured on someone else’s property or someone’s child has been injured on your property, the experienced West Palm Beach, Stuart, and Boca Raton premises liability lawyers at Lesser, Lesser, Landy & Smith, PLLC can help you understand your rights. Contact us for your free initial consultation.